This post from Harris Dental in Phoenix focuses on dental cleanings. You might wonder if you need a professional cleaning if you already practice dental hygiene daily at home. The answer is that both processes are critical, because they work in tandem to maintain oral health. Dental cleanings increase the effectiveness of your daily oral care by removing the plaque and tarter that accumulate, regardless of how often your brush and floss. In fact, when plaque hardens, it can only be removed with the special tools used by a hygienist. The goal is to make your tooth surfaces as smooth as possible, to prevent food particles from lodging in small spaces that are difficult to clean. If you are having an exam during the same visit, we may take dental x-rays. X-rays can reveal cavities while they are small and can be easily filled. Let us know if your teeth are sensitive so we can make your cleaning as comfortable as possible. After the cleaning, a fluoride treatment may be given to help strengthen your teeth. At Harris Dental in Phoenix, we pride ourselves on going that extra mile to ensure y0ur dental health is at its best. Our services include general and cosmetic dentistry. Schedule an appointment today. A reminder from the team at Harris Dental in Phoenix: when life gets busy (it always does) and you suddenly have to juggle extra balls, some are bound to get dropped. Maybe you took on a second job or started night school to earn an advanced degree, or became the caregiver for an ailing parent. When life hands you extra challenges it is easy to get lax about oral hygiene. Sometimes you feel too exhausted to brush or floss and skip regular check-ups and cleanings. Harris Dental wants to remind you to consider the possible consequences of neglecting your smile. Your plate is already full – you don’t want to add poor dental health, and the expense of treating advanced problems, into the mix. Let the car go unwashed for a few weeks. Record your favorite show to watch it later when things slow down. Postpone that kitchen remodel. But keep your smile healthy – it really will make your life easier, healthier, and happier. At Harris Dental in Phoenix, we care about the dental health of each one of our patients. Our services include general and cosmetic dentistry. Schedule your next cleaning and checkup with us today. You may think the most crucial aspect regarding flossing is simply to do it every day. And the team at Harris Dental in Phoenix agrees. However, many people find that trying out a few different types of floss helps them to establish or solidify the habit and get the flossing comfort they desire. Let’s consider some of the most common types of dental floss. Basic floss is either a monofilament floss, which is ordinarily made of some kind of rubber or plastic, or multifilament, which is made of nylon or silk. Nylon floss is less expensive, more common and is sold waxed or unwaxed. Monofilament floss will not rip or tear, and because of this, many people find that it pulls in between the teeth easier. This type of floss is often referred to as “glide” floss. Both monofilament floss and multifilament floss are sold in differing thicknesses. It is beneficial to find the size that works best for you. Since you should not have to snap the floss between your teeth, find the thickness that allows you to gently floss. Dental tape is nylon floss made as a wide, flat ribbon. Many Harris Dental patients find that dental tape is the easiest floss to get between their teeth. For those of you with braces or appliances, there are flosses designed for those. Make sure to tell your orthodontist about flossing because you don’t want to break this essential habit just because you’re having your teeth corrected! A good person to give you advice about flossing is your dental hygienist. 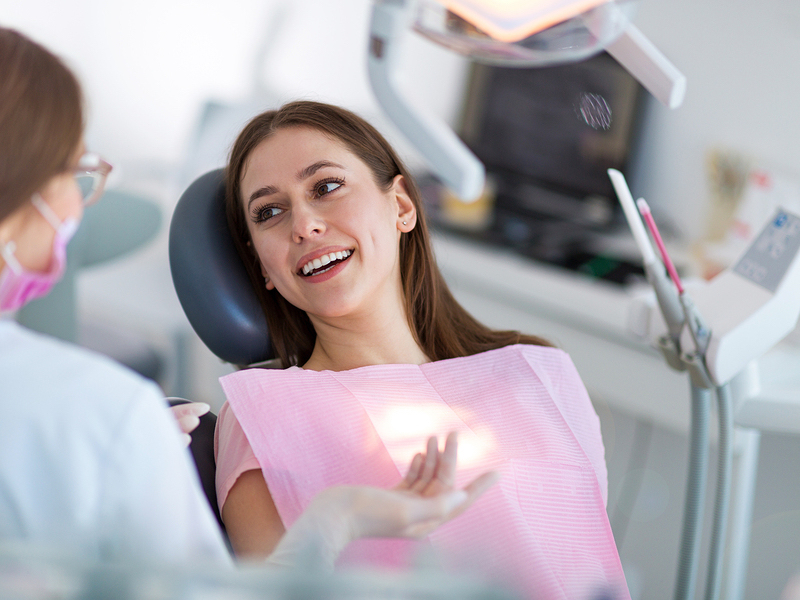 Here at Harris Dental, our expert hygienists are prepared to answer any questions you have about flossing, brushing habits, and even cosmetic dentistry procedures such as teeth whitening and veneers. 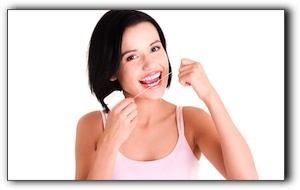 At Harris Dental in Phoenix, we encourage all of our patients to make flossing a part of their dental hygiene regimen. Our services include general and cosmetic dentistry. Schedule your next checkup with us today. How Much Do You Know About Gum Disease? We see too many cases of gum disease in our patients at Harris Dental in Phoenix. It’s the leading cause of tooth loss, but it’s preventable. With that in mind, here is a short quiz to test your knowledge of gum disease. 1. Which of the following are risk factors for gum disease (periodontitis)? 2. Which of the following are possible signs of gum disease? 3. Which of the following are possible health matters linked to untreated gum disease? 4. What percentage of men and women age 65+ have gum disease? 5. 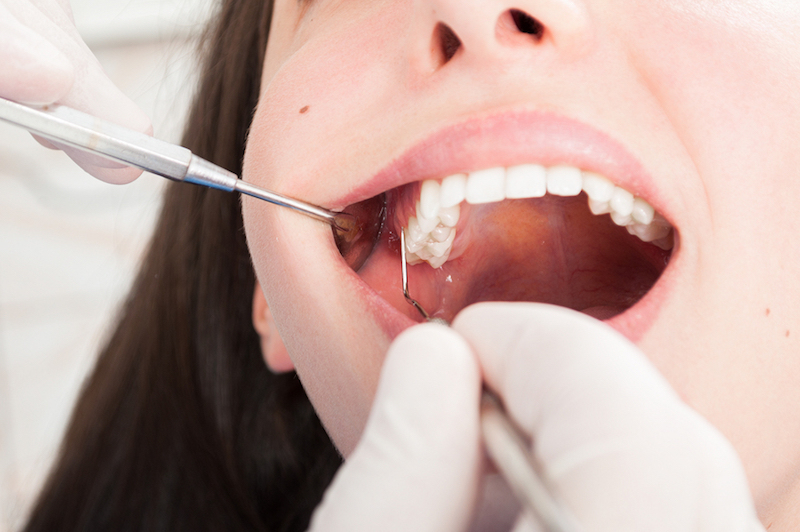 Which of the following services are used for gum disease? 1. All of the above. Pregnancy, menopause, or any other condition that causes hormonal changes is a risk factor as is any type of malocclusion. 2. All of the above. Note: some patients don’t see any symptoms. Gum disease usually responds favorably to treatment—especially if caught early. If you haven’t seen a dentist in a while, or have been noticing troubles with your gums or teeth, please call us at Harris Dental in Phoenix. We treat gum disease, and conditions like TMD. We also offer a full range of dental services. Schedule an appointment with us today.